I don’t know if you have noticed this with my last order, but I am now at University. 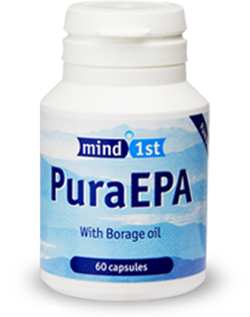 The high EPA content from this company’s fish oil drastically helped me with my studies in high school, I went from the bottom of the class in languages, to the top of the class, and becoming one of different teachers’ favourites. My English and writing skills improved drastically also. I have been told many things when I was much younger – that I would need a scribe in my exams (I did the exams alone and passed with flying colours), that I would struggle with high school work (I did fine), and that I had something wrong with me (yes, I probably did, lack of EPA and fish oil, that’s what). I am now at the prestigious “red brick” university of Heriot Watt, studying International Business Management with German and Mandarin Chinese. And I truly believe that I have a lot of this to thank Mind1st Fish Oil for.